Sao Paulo Lodge i Sao Paulo, Brasilien : Boka nu! cancelamento de grupos sero aceitos sem cobrana com mais de 30 dias de aviso prvio. 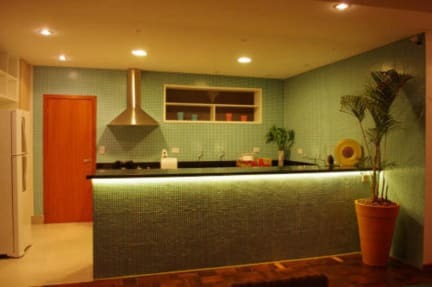 Business travellers on a budget, students and backpackers looking for a brand new hostel in Brazil are going to love the Sao Paulo Lodge. Rooms are large, bright and spacious. Local attractions and business areas are within quick and easy reach from our hostel with public transportation. 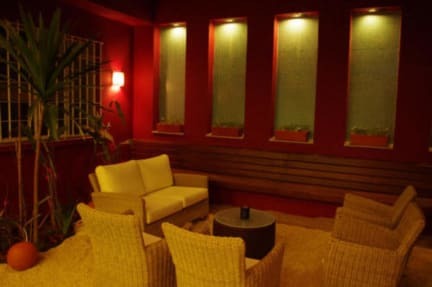 The Sao Paulo Lodge has the friendly atmosphere of a hostel with the style, comfort and service of a boutique hotel. Whether you travel alone or in a group, stay with us and we will help you make the most of your trip to Brazil. Depending of the period of your booking you will be charged 50% in advance in order to secure your booking (non refundable), you may be contacted by the property requesting the CVV code of the credit card used for this booking or asked for a deposit.